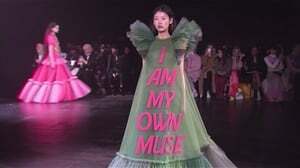 It's a bestseller! Meet the rug that fits almost any décor style. 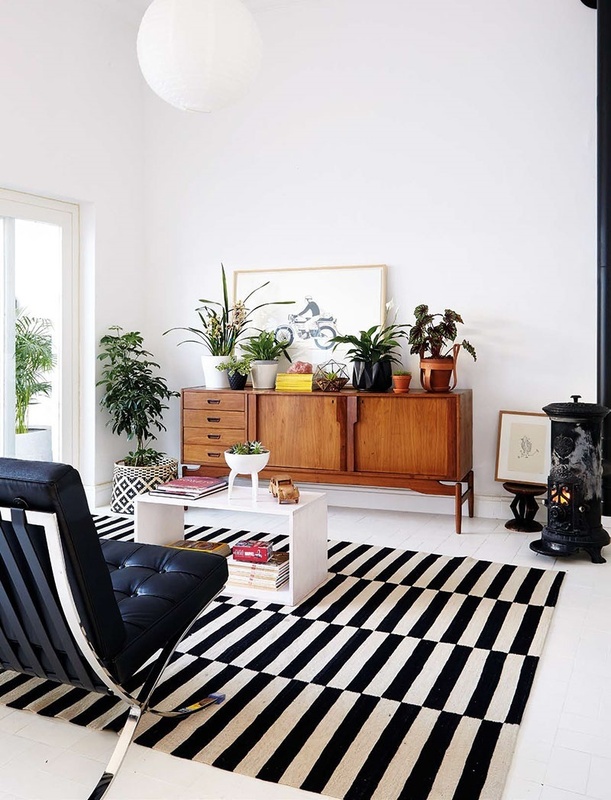 In 2017, when the Home team noticed that a very distinctive yet classic black-and-white rug had managed to creep into a number of our décor articles, we were gob-smacked! After all, we work hard to ensure that we don’t bore our readers with repetition. Translator on Tuis magazine, Desiree Hartney, was the first to notice, saying she’d seen this rug with its offset stripe at least a couple of times. Des was quite right. Between 2014 and 2017, the rug had appeared at least 15 times – in many homes, from a spacious farmhouse to a compact artist’s abode, and almost everything in-between. 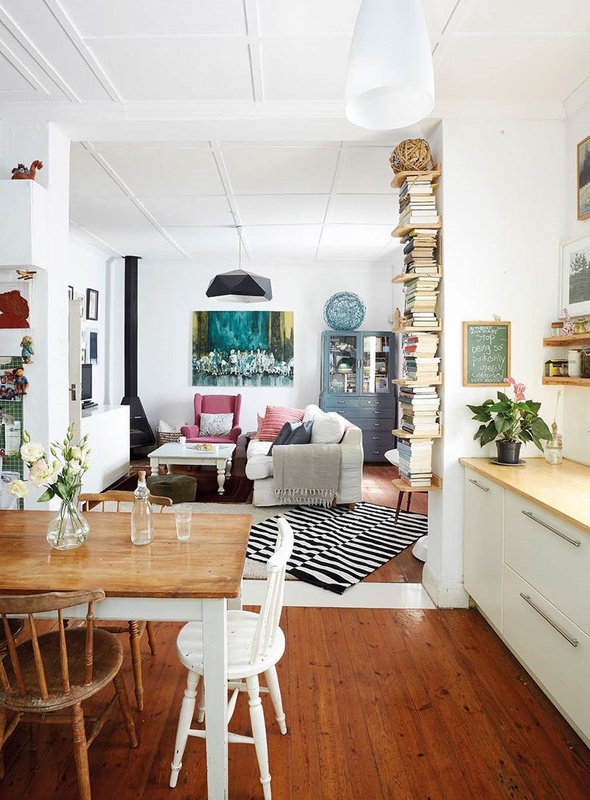 And believe it or not, it was not the Home stylists who were taking the versatile rug to all these homes; in most instances the rug was already there! It seems its very versatility is what made the rug so popular. Stripes and black-and-white are timeless classics, but can also be graphic, contemporary and fun. This combination works perfectly with pops of bright colour, but is equally at home with neutral décor and brightens up a classic space. In short, stripes and black-and-white never date. But what’s the story behind this rug? We discovered it at MRP Home (it’s since out of stock) and other smaller carpet stores, and a quick Google search revealed that the rug was just as popular abroad. When the Swedish chain store Ikea sold it as the Stockholm Rug, it was hot news on Pinterest. Overseas décor bloggers were just as crazy about the rug and played off Ikea’s cheaper version against the original design by Madeline Weinrib (madelineweinrib.com) with headlines such as “copycat chic”. November 2014: As far as we know, this was the rug’s debut in Home. 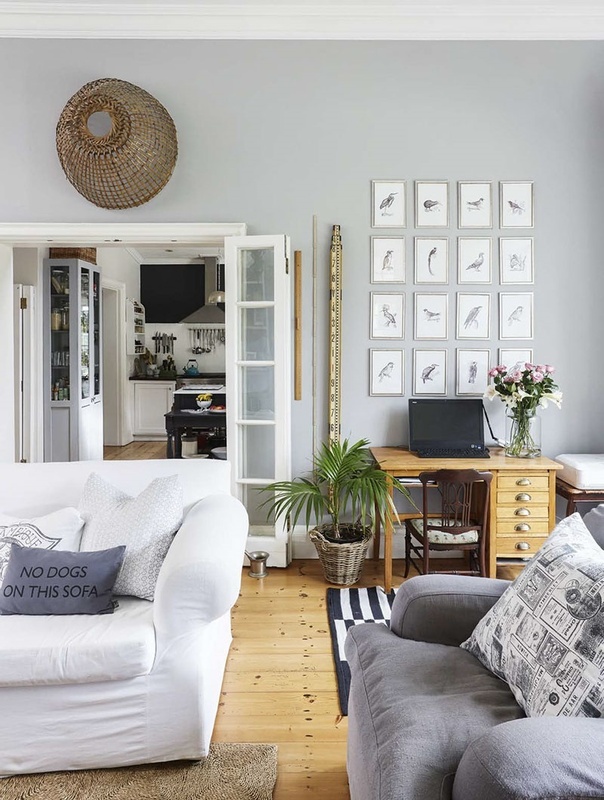 Our freelance stylist Kim Bougaardt selected it for one of five budget makeovers in this issue, little knowing it would make a repeat appearance for the next three years. Smart choice, Kim! April 2015: For Illze Muller of Herbertsdale, it was a challenge to find the right décor for her spacious farmhouse with its high ceilings. Most chain store buys were too small, so Illze bought three of the rugs, joined them together with her sewing machine, and voila! One large striped carpet. February 2016: And sometimes our stylists also play a role. 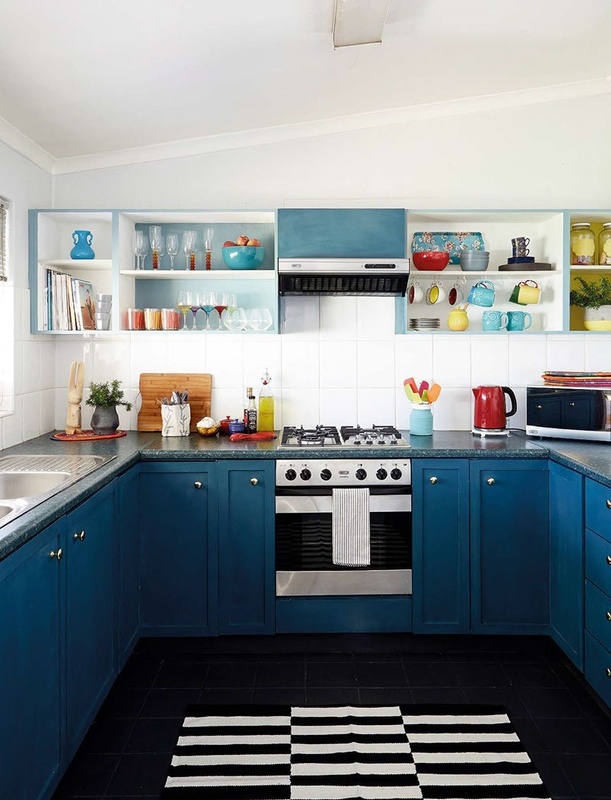 Here Kim Bougaardt used it as a cheerful graphic element in Haidee Muller’s Cape Town kitchen. 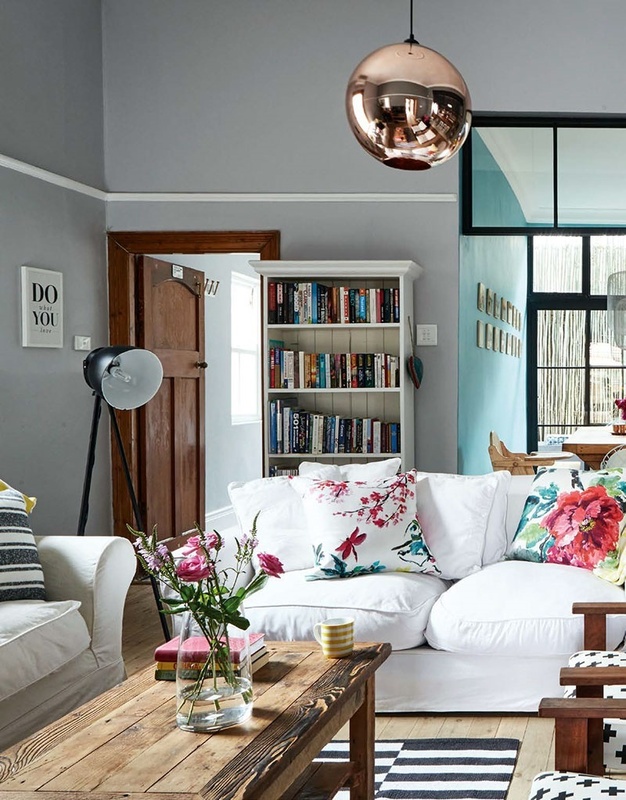 May 2016: The neutral rug anchors the colourful, modern living room in Marita and Ryno Palm’s home (at that time they were living in Observatory, Cape Town). Look how well the black and white works with splashes of bright colour. July 2016: Look how elegantly “our” rug combines with the classic Barcelona chair from 1929 and the ’50s sideboard. Timeless! 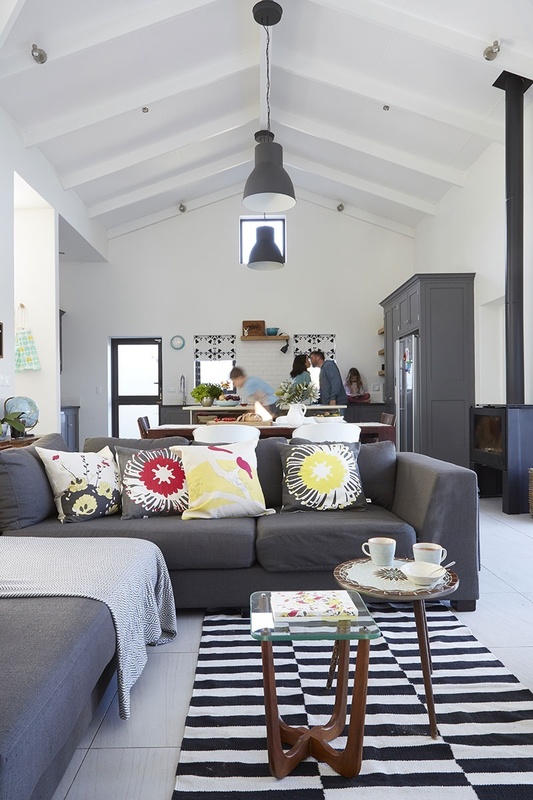 November 2016: “It’s me again!” exclaims our most popular rug in Lauren Frates’s Knysna home, where it complements the cheerful floral cushions – her own design under the label iSpy. March 2017: Artist Elize Vossgatter has a few of these rugs in her compact Mowbray home. Here it leads the eye from the kitchen to the living room. 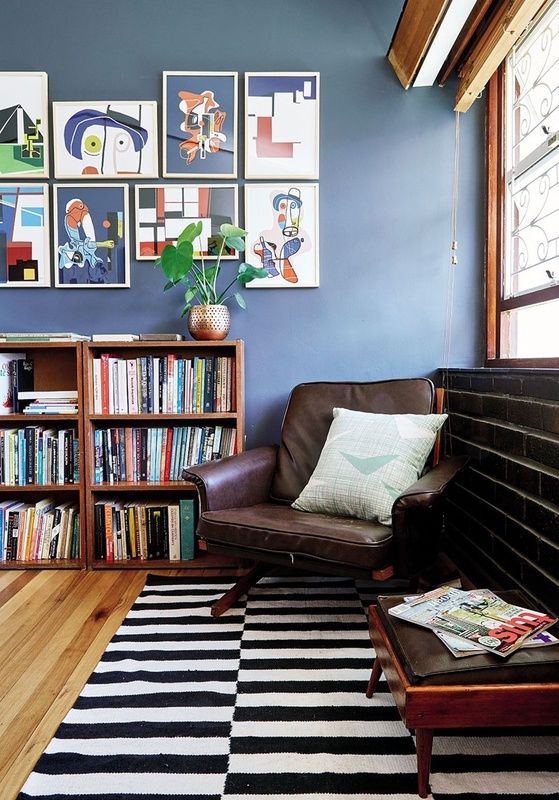 And again in March 2017: The graphic stripes complement the industrial style of Yanni and Sonia Vosloo’s Woodstock apartment. And the third time in March 2017... 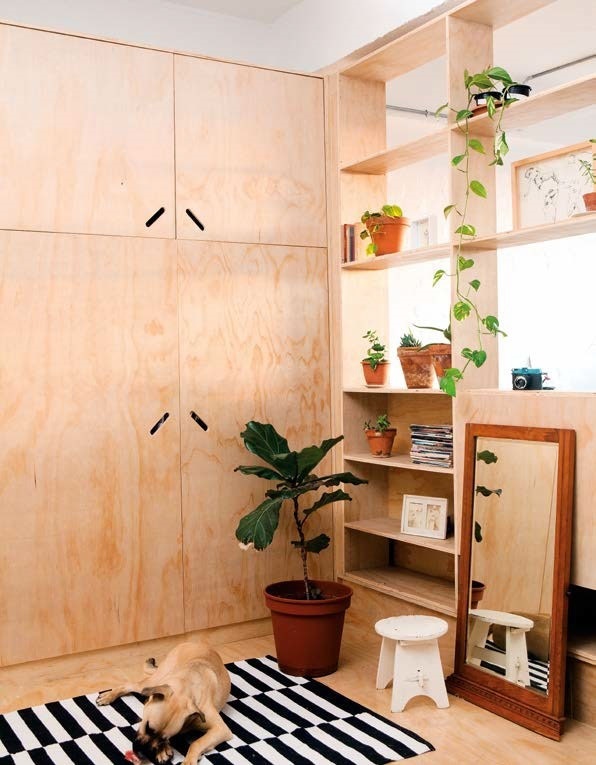 In Frances Eberhard’s loft in the same building as Yanni and Sonia’s, the monochromatic design contrasts beautifully with the plywood cupboards. May 2017: In some places the rug was less obvious. In Bridget and Bruce Richardson’s Edwardian home in Kenilworth it was just peeping out behind the sofa. June 2017: The classic modern stripes were quite at home with furniture from the ’50s in Martina Klopper’s Boston home. July 2017: Janelle Enslin of Durban is not afraid to mix patterns. 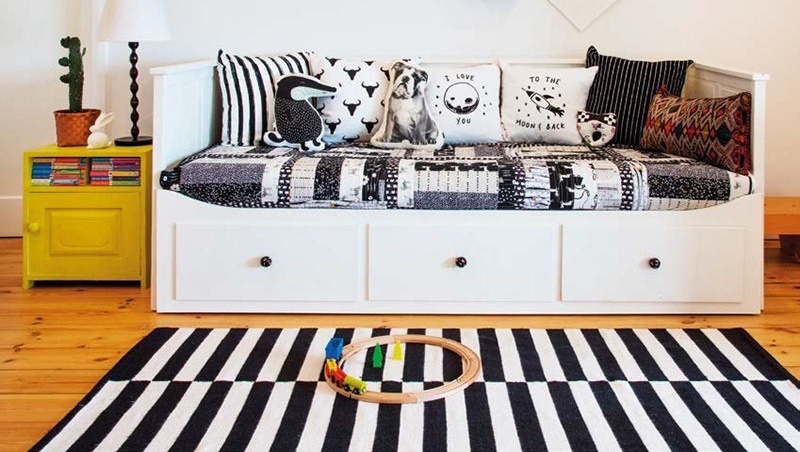 The rug is a fun element in her work space with its black-and-white palette. It’s also an excellent example of how to keep things interesting in a monochromatic palette, where only two colours (here the non-colours, black and white) are used. Mix your designs to your heart’s content; the palette creates a cohesive feel. 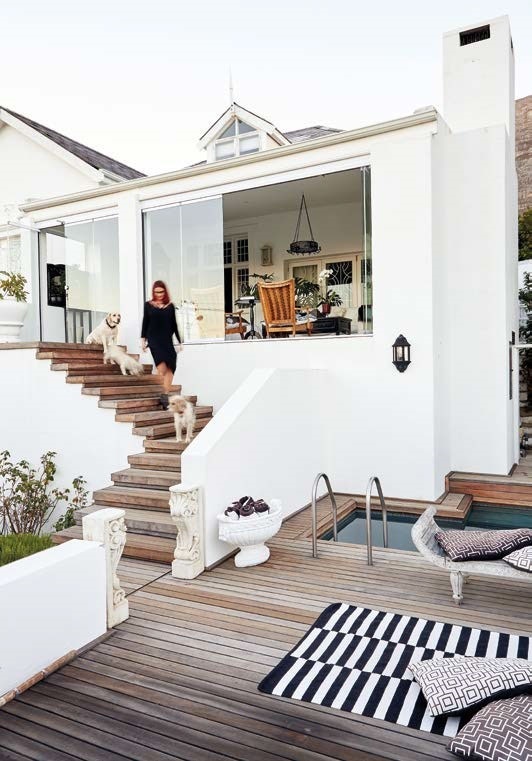 August 2017: Carla van der Merwe’s Oranjezicht home is a study in black and white. She is particularly fond of dramatic contrast, hence the rug with its impactful stripes.